Things are certainly moving in the tech industry as this year sees some major shifts in the strategies of large corporations. If you were still wondering if Windows 10, that Microsoft is offering as a service, was one of the important game changers or not, look no further. Apple is now opening up its events to Windows 10 users. It’s arguable and a little too early to measure if Windows 10 is a success or not as an operating system that reaches out to millions of users needs more time for analysts to rightly quantify its success. Whether a success story or not, it definitely is being acknowledged by its competitors. 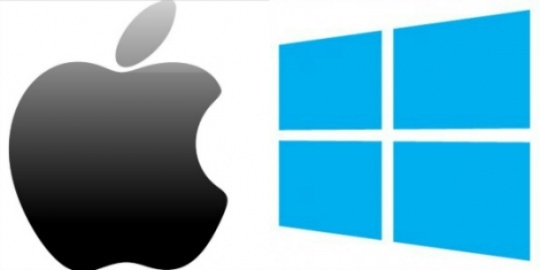 A company like Apple, which has historically limited its events to its own ecosystem is now opening them up to Windows 10 users. Before now, if you were on an Android or a Windows device, Apple didn’t want you to be a part of its events. No more. If anything, it’s only a larger audience for Apple and that too a strong potential market of 75 million users. Many were surprised at Apple mentioning Windows 10 in the support page for the September 9 event. It might seem like a change in tune, but we have seen Apple opening up this year in its strategies around its keynotes. Back in June, Apple gave more charge to its female executives who took to the stage of WWDC 2015 at Moscone Center. Before that, only three women had appeared in WWDC keynotes since 2007, two of them third-party developers. Bringing more diversity in the workforce and leadership, Apple is now also being more open to other platforms realizing the power of having a larger audience. Apple is going to introduce iPhone 6s, iPhone 6s Plus, iOS 9, and a new Apple TV this September 9. If you are one of the 75 million users of Windows 10, you will now be able to live stream the keynote at 10 a.m. PDT on your devices using the new Microsoft Edge browser.